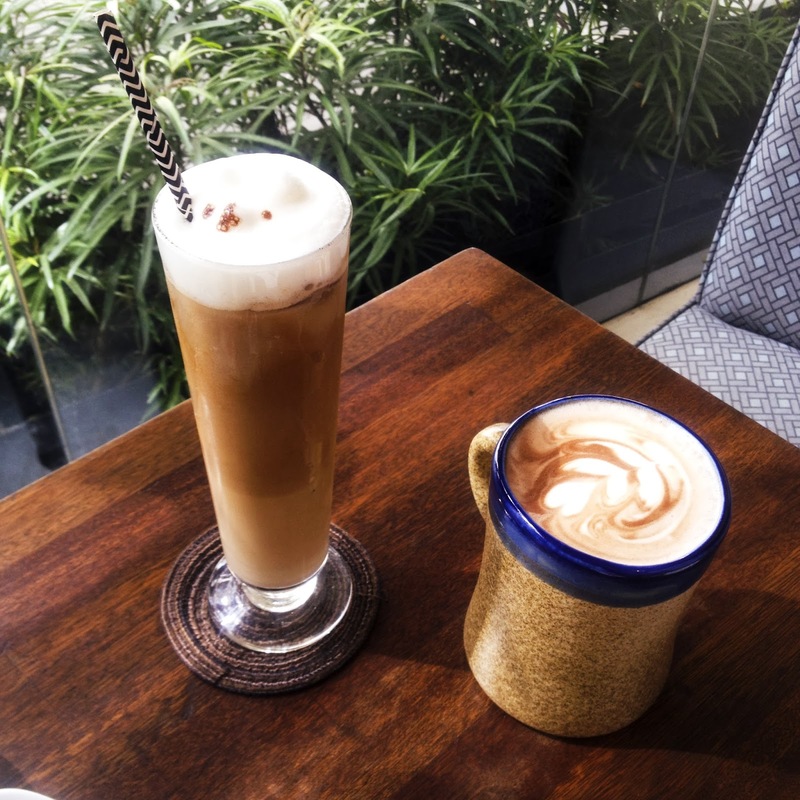 I think I'm not the only one when I say, "Most of the time, I'm on the look out for a coffee shop where I can have a great conversation with my friend/friends when we meet up." By a great conversation, I mean talking to my friend/friends with no Wi-Fi and at a place with a quiet ambience. 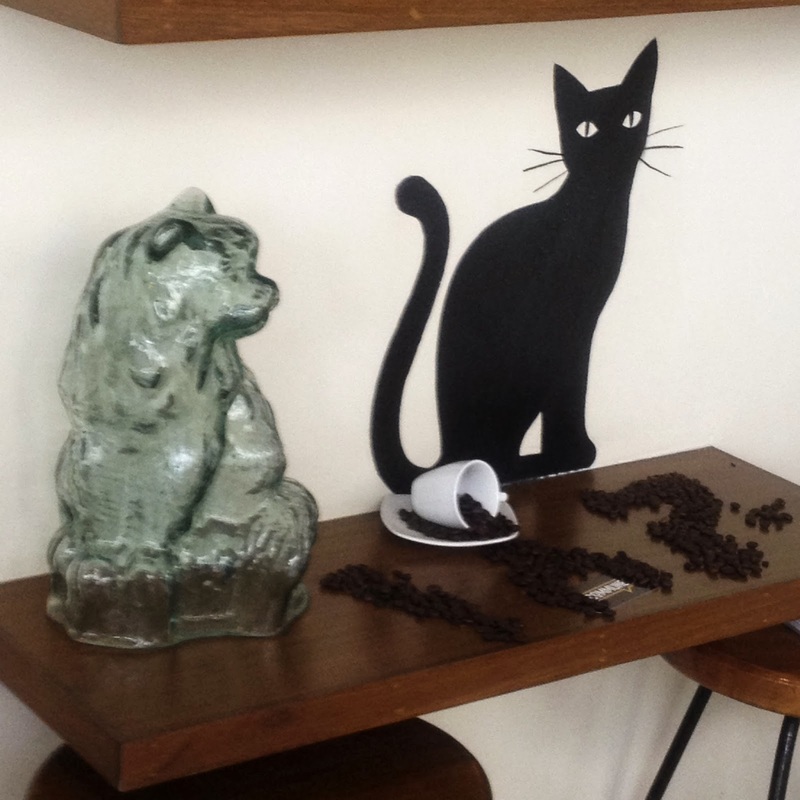 I managed to find my first discovery of the coffee shop of this sort at Magnum Opus Fine Coffees. It's a rare gem down south. I think I've found the second on my list. 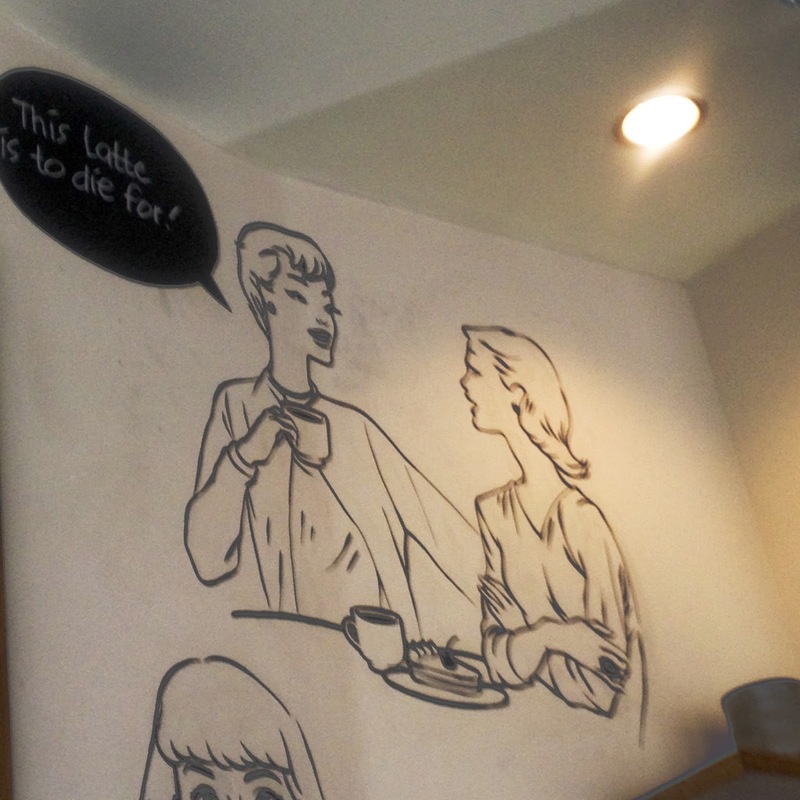 Last January 24, I was talking to my best friend Kenneth about meeting up and catching up over good coffee. We both made it clear that we wanted to hang out somewhere where we can talk nicely. 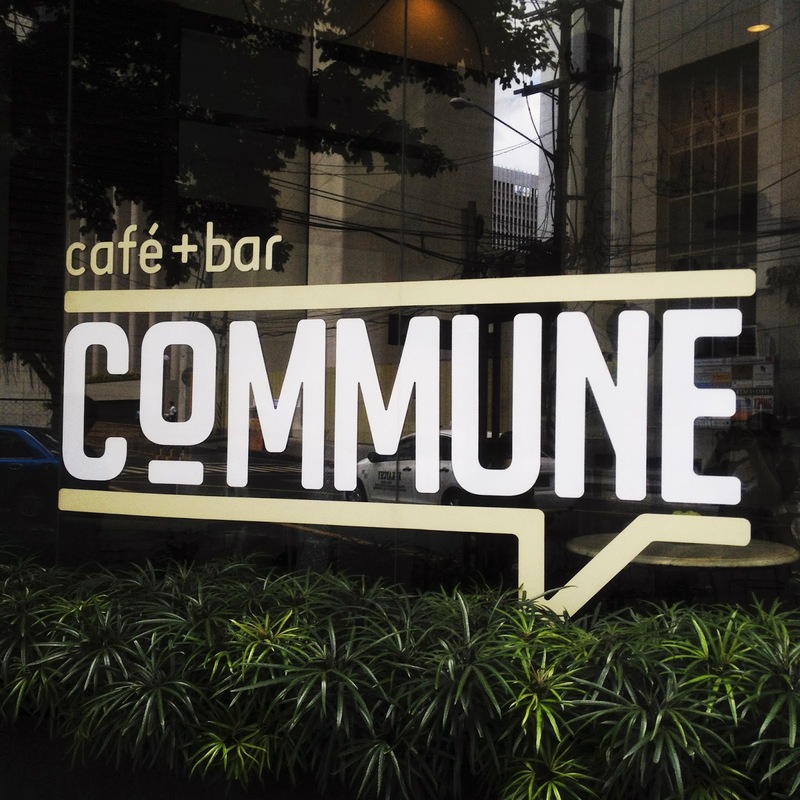 So upon the searching the data bank that is Google, I found Commune which is located at Makati. I've read the reviews from several blogs and they were all saying that it's a nice and quiant spot for coffee so I suggested that we meet up here. I was thinking to myself, "This better be worth the travel from Batangas City and my best friend's travel from Mendiola." Come January 25, we were going to meet there for lunch and afternoon coffee. The place was relatively easy to trace from Sen. Gil Puyat and Tordesillas going to H.V. de la Costa St. 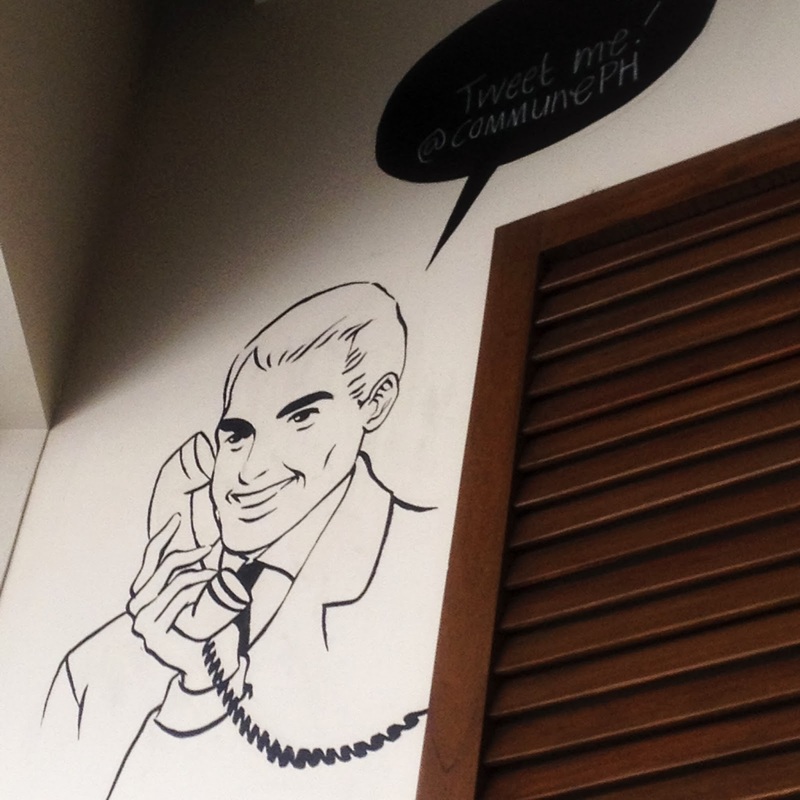 I totally fell in love with the interior design of the place. It's simple and quirky at the same time. The wall paintings are very nice. 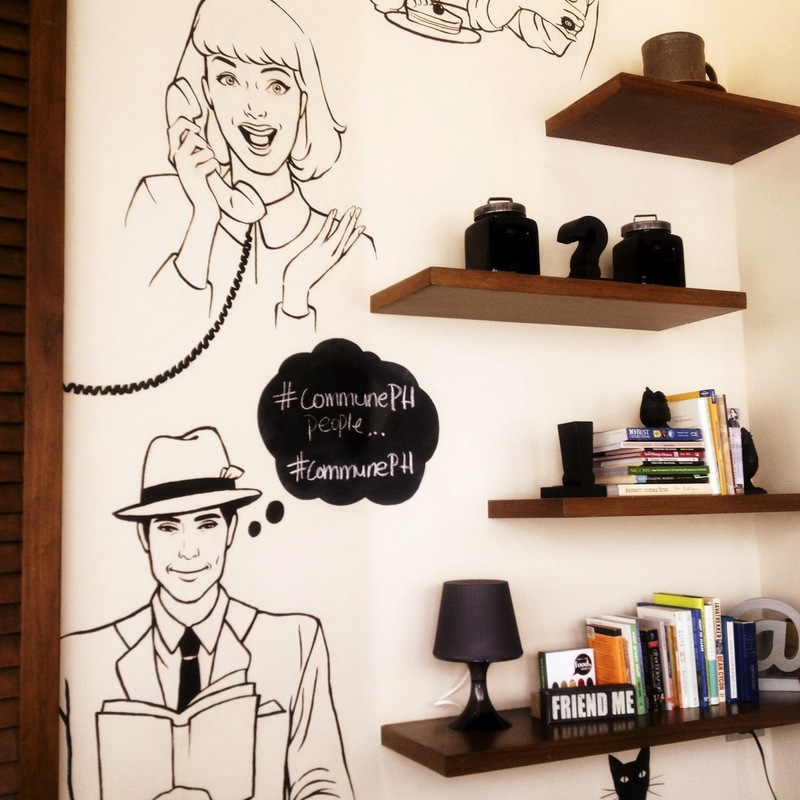 I wasn't able to take a photo of the whole place and just concentrated on the wall paintings and shelves. Kenneth already ate lunch before we met up so I was the only one who ordered. 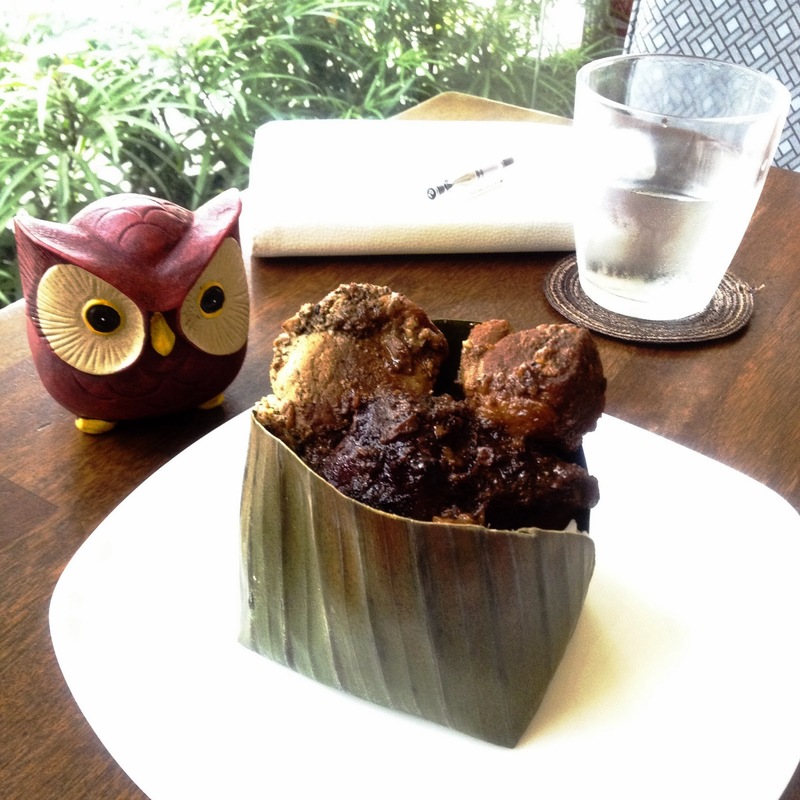 I took a shot at ordering the Pork Adobo and the Iced Mocha. Kenneth ordered a latte. When the Pork Adobo arrived, I initially thought that the serving size was small. I took a bite at the adobo and the pork was so firm and tender. The rice was also filling as well. The serving size was deceitful because after you eat it all, you'd really feel full. The flavors of the adobo was also not strong and just right for my taste. The coffee were nice as well. I read at an interview with Rosario Juan, the owner, that they only use local coffee beans to support our farmers here. I really think she was the one who was sitting at the high table across us while we were there. It was really nice to stay there and have a chat. The surroundings was relatively un-busy since it was 1:00PM in the afternoon at a corner of Makati far from Ayala Ave. The cafe was also quiet since there were only a handful of people enjoying an afternoon of good food and splendid coffee. It's the perfect place to go to if you're looking for a place to study or work peacefully. I even think Kenneth said he'll travel all the way here if he needed to catch up with some studying. 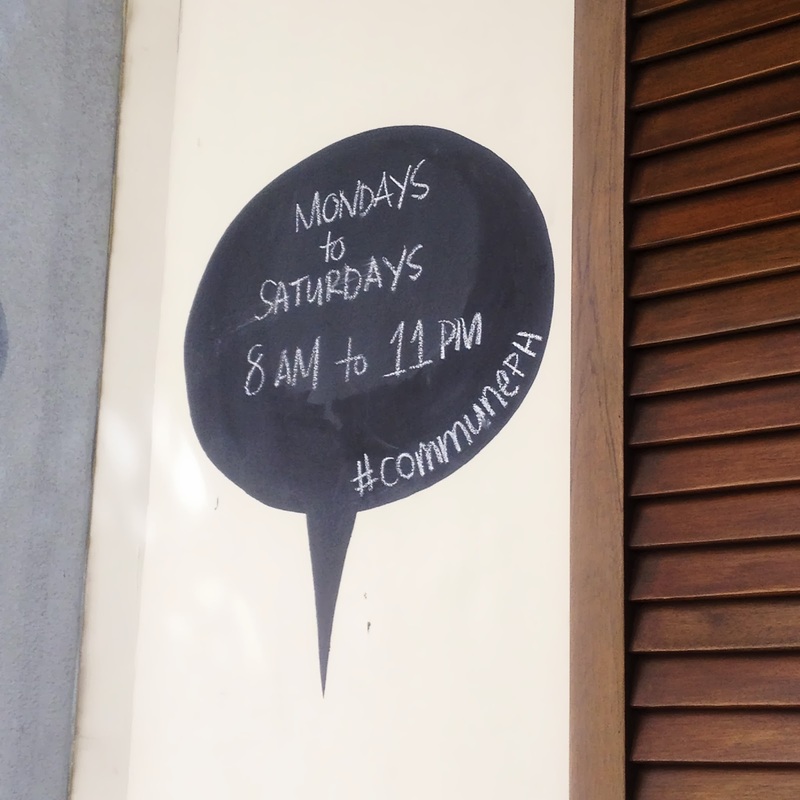 So if you're swinging by Makati anytime soon, Commune is definitely a place you must try. 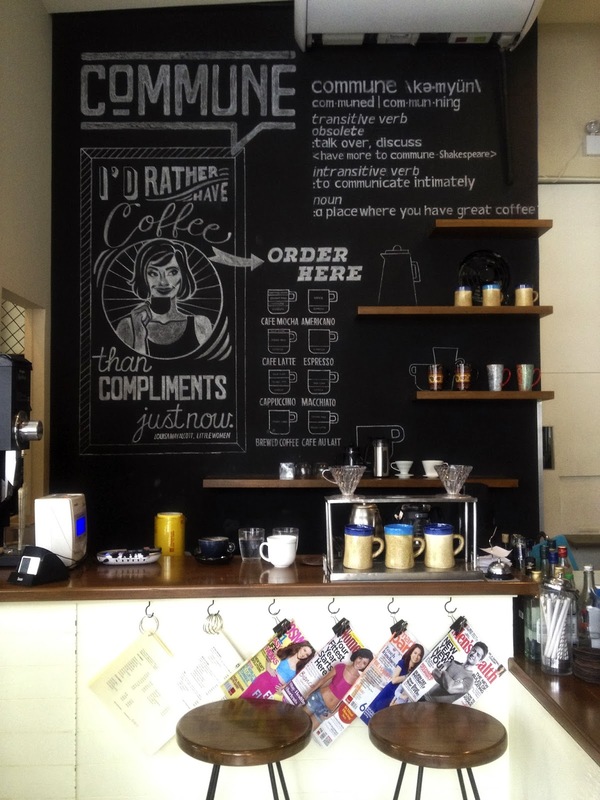 I've always wanted to try Commune. My friends told me that this place is awesome and this post just confirms it. The only thing that I don't like is it closes so early. Yeah, it is awesome. You should try it there, Gelo. I think they close early since they also open early at 8:00AM.